Tributes to the late great Stan Lee continue to roll in, and undoubtedly they will continue for a long time to come. Today Stan "The Man" is honored by the house that he helped build, Marvel Entertainment, in a touching video tribute that pays homage to his life and career. 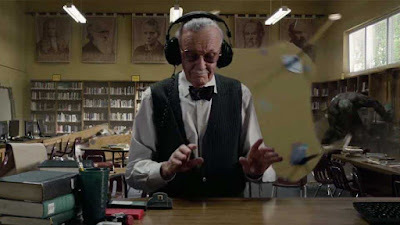 Of particular interest will be the interviews with a much-younger Stan Lee, because I think we've grown accustomed to him as a much older man. It's fascinating to see him when he was young, hopeful, and energetic, only to realize that he stayed that way through the end. The man was truly remarkable. Check out that video tribute below, followed by a more remembrances. Take note of the words by Fantastic Four director Josh Trank, who feels that he was a disappointment for not doing justice to Stan's characters.